Holding Left/Right arrow rewinds the records. Letting off an arrow key plays the record on that side. 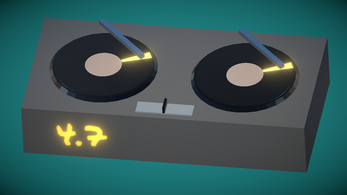 Space bar toggles fader side. The goal is to start your loop on time and then rewind your other loop to switch over and keep the music going continuously.